A new $1.4-million grant program is funding 29 projects to raise awareness of the opioid crisis through video, art, social media, workshops and community events. Dr. Karen Grimsrud speaks about the need for community work to raise awareness on the opioid crisis. The projects will focus on reducing stigma, help people learn where they can find life-saving resources and educate families, friends and neighbours on how they could potentially save a life. The grants put funds into the hands of people and agencies who know their local communities best. 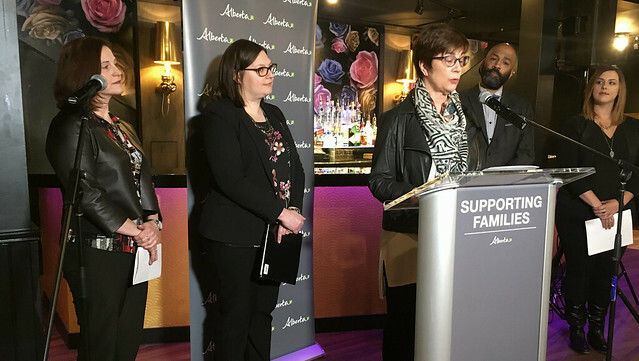 Supporting the public awareness grants – which was recommended by the Minister’s Opioid Emergency Response Commission – is one of many actions being taken by the government of Alberta. The province has distributed more than 49,000 free naloxone kits, and more than 3,300 overdose reversals have been reported. The province is also committing operating funds to six supervised consumption sites and is increasing access to opioid treatment programs. The province’s latest interim opioid data report shows that 74 people died from an apparent fentanyl poisoning in the first six weeks of 2018. That compares to 119 people who died of an apparent fentanyl poisoning in the last six weeks of 2017. Last year, 589 people in Alberta died of an apparent fentanyl poisoning.